Our Indoor Clinics are off to a great start. 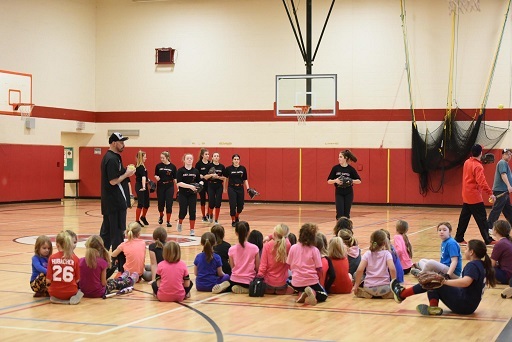 Girls will come and warm-up, hit, catch and interact with the older travel teams to as they learn the basics of the game and the power of teamwork. 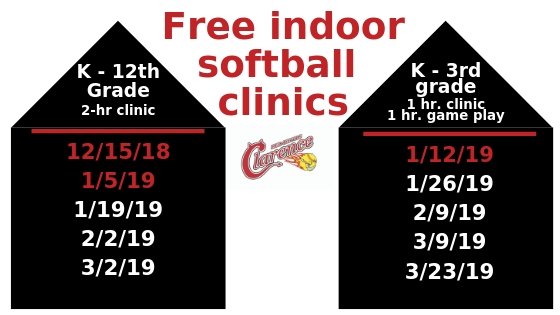 Free indoor Clinics are From 12:00 Noon-2:00 PM. 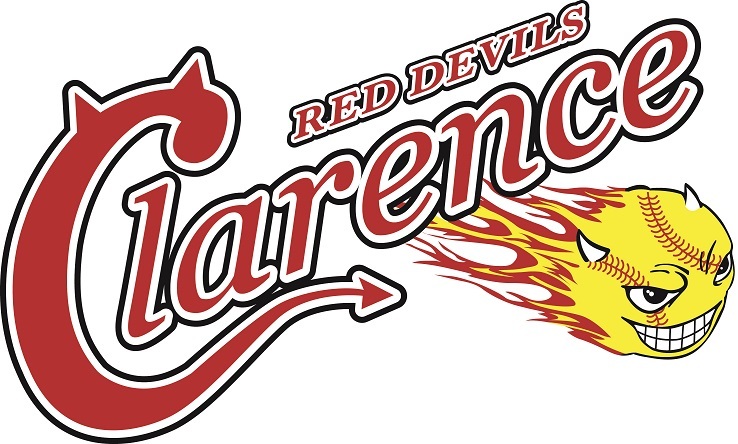 We are excited to annouce that our annual softball clinic conducted by the players and coaches from St. John Fisher will be held on Sunday, January 20th, 2019. You must register by January 18th, there is limited space available. The clinic will run from 12 - 3pm at the Goodrich Indoor Practice Facility. Cost is $40 and each girl will receive a t-shirt. The clinic is open to all House and Travel players from 2nd grade and up. We will post an event with additional details, please let us know if you have any questions!